It’s has been another busy birthday week for us, yes August is just full of birthdays. This week it was Andy’s birthday and his birthday can sometimes get a bit lost in-between the girls birthdays. But not this year! On Sunday we took a trip to Oxford, somewhere we haven’t take the girls before. They loved doing the park and ride and taking a trip on the bus into town. We brought Alice’s school shoes and it’s all starting to feel very real. We met the lovely Aby and Baby at our local splash park. It’s always nice to see them and Alice and Baby were running around holding hands. They brought us cakes too, to celebrate Aby’s three year blog birthday. They were yummy and the perfect treat! 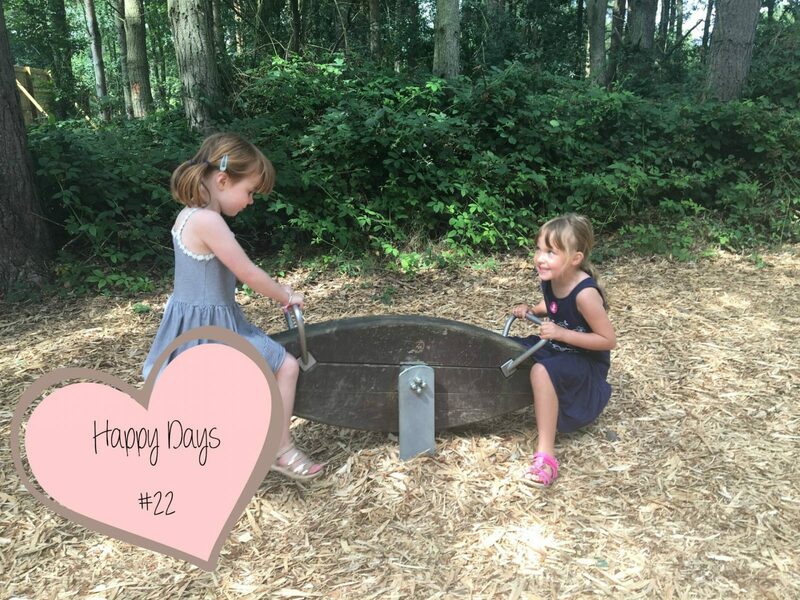 At the moment our favourite place to visit is Wellington Country Park, we took along my niece and parents too. The girls had a lovely time and Alice and my niece got their face painted, which they loved. We ran out of time to bake Andy a cake and popped to the shop to get one. I asked Alice if she thought he would like Colin the Caterpillar, but she decided that he would like Connie the Caterpillar better. With the pink hearts and pretty pink bow. The joy of having girls picking your cake…ha ha!! Taking Andy out for dinner on his birthday. Birthday’s are exhausting and having all 3 of them within 10 days is tiring, but I really wanted to make a fuss of Andy. He works hard for us girls and deserves a good birthday. We had a lovely meal and it was nice to have some time together. Today we are going into town and having lunch out for Andy’s birthday. The weather keeps changing for Sunday and we were hoping to go to the beach, but we will have to see on the day I think. Have a lovely weekend. Sounds like a fun week, cake sounds yummy too, even if it wasn’t home baked!